The Seventh Annual Heroes for Hope Race, hosted by the Children’s Advocacy Alliance, drew 151 runners. Adam Cox of Conway was the first to finish the 10K course with a time of 41:52.37. 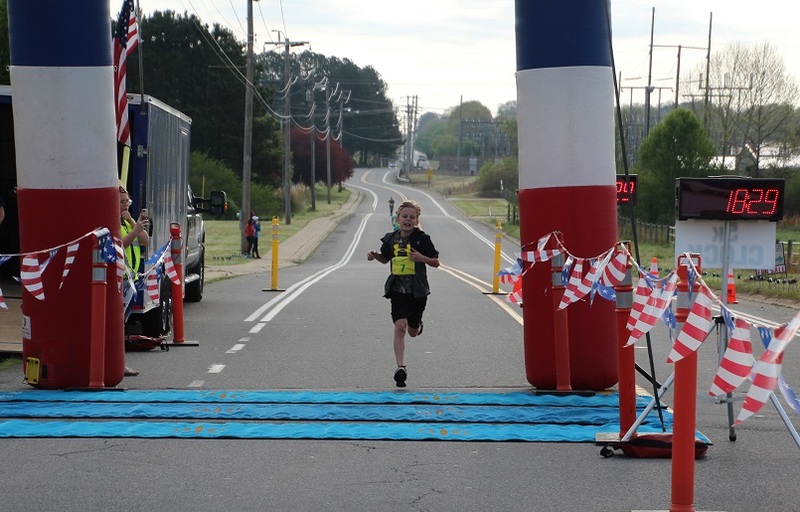 Thirteen-year-old Jake Tatom, a student at Ruth Doyle Middle School, won the 5K event with a time of 18:30.46. “The event was a huge success this year! We are so thankful to be a part of a community that supports our mission of providing hope, healing and justice to abused and neglected children,” said CAA Executive Director Tess Fletcher. Heroes for Hope was held April 7 in West Conway. Participants were encouraged to dress up as their favorite superhero, because every child needs a hero but an abused or neglected child needs a superhero. “The Heroes for Hope Race is more than a race, it’s a time to support all of the kids in our community.” said Tess. The 10K, 5K and 1.31K races were accompanied by a KidsFest, which included free arts and crafts, a bounce house, games, a costume competition for kids and more. “The race committee and volunteers did an awesome job. There are a lot of great things about the race this year, but my favorite each year is seeing the kids participate, whether they are running, dressing up as their favorite superhero or just hanging out enjoying KidsFest,” said Tess. The Children’s Advocacy Alliance believes that it is the responsibility of all community members to participate in child abuse prevention in their communities. The race is a way to raise awareness in honor of child abuse awareness month while raising funds for the kids in Central Arkansas. Funds will go directly to provide services in Faulkner, Van Buren, Searcy and Conway counties to the kids who have been victims of child abuse or neglect. Everyone who runs in the Heroes for Hope Race is a superhero. “Arvest was our presenting sponsor for the race, funding one CASA to advocate for one foster child in court for a full year, one medical exam at the CAC and five units of therapy. The impact Arvest and all of our other sponsors made through this race is huge; they have quite literally created a better tomorrow for our kids,” said Leia Smith, CAA development coordinator. For more information visit hopeandjustice.org, contact Leia Smith at lsmith@hopeandjustice.org or call 501.286.3290.